Philippe Horowicz, a Bombardier pilot and instructor based in Switzerland, agrees: “A future owner always needs to be aware what kind of mission they want to do with the aircraft that they are buying.” A European customer who sometimes goes to Africa or the US will be looking for a mid range aircraft. Asian or Emirates customers are less concerned about cost and tend to go with the long range types. 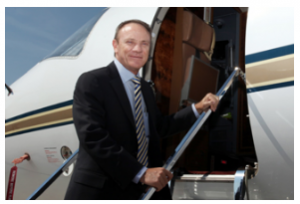 “The whole business aviation market has been eroded over the last three or four years since sanctions were employed. 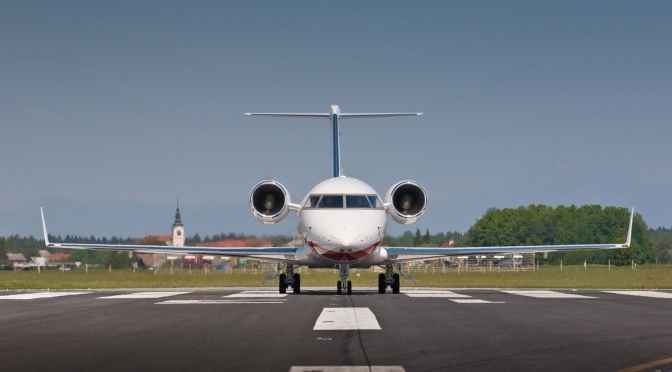 Russia was definitely a very big business aviation customer, and perhaps the only positive thing to come from Donald Trump’s presidential success is that he may lift this sanction, and also reduce the tax on business jets,” adds Horowicz. Fallout from the crisis in Ukraine a few years ago also had a negative effect on aircraft sales. He thinks the Global 7000 will definitely give Bombardier a boost to its high end offering. America has been good for business jets in comparison with Europe, and he believes that long range aircraft for customers in China and Russia will lead to some good sales for the company. Air Hamburg has been buying a lot of new aircraft recently: four in 2015, two in 2016 and two more already this year – another Phenom 300 and Legacy 500. All were sourced from the manufacturer: “Embraer has made it very easy for us, and that is why we have done so much business with them,” says Simon Ebert, a partner at the German operator. There are plans for this to continue well into the future. “We have worked with them in Brazil and the US, and the company also has great sales support here in Germany. As president Marco Tulio says, any friend of Embraer is a friend of his.” A sign, surely, of considerable purchasing history. “There is fierce competition between manufacturers,” says Matthias Luder, director sales and marketing, general aviation at Pilatus Aircraft in Switzerland. But he notes that Pilatus had a strong 2016, and with global sales of the PC-12NG growing over 20 per cent last year, the model outpaced all other turboprop business aircraft. The PC-12 NG is sold worldwide through a dense network of Authorised Pilatus Centres. New EASA regulation will allow commercial operation for single engine turboprop aircraft and the versatility and low operating costs of this model will make it an interesting option for European commercial operators: “Especially as an air ambulance, with its flat floor and large cargo door,” says Luder. What is more, the PC-12 has has an exceptional value retention track record. “Buyers often look at the offered price, whereas the value retention should be an equally important factor in the decision process,” he adds. He recently sold a 19-year-old Citation Bravo which had flown 7,700 hours. “We didn’t get anything for it, we pretty much had to give it away,” he says. When buying new aircraft, Air Hamburg calculates using them for at least 10 to 12 years. “Once they are [financially] written off, it is fine for us. We can’t sell them, there are just too many out there. At its core, Slovenia-based Elit’Avia is a management and charter company but it also gets involved in sales transactions in support of an existing client. Sales opportunities generally come from its aircraft management clients, and given that it also has good relationships with many key brokers, it works with them as well. CEO and accountable manager Puja Mahajan finds that newer aircraft, especially wide bodies and aircraft compliant with recent regulations (for example ADS-B), are moving quickly, especially if an aircraft is under warranty. And thanks to online activity, the global market is becoming increasingly savvy. Traditional markets for pre-owned aircraft such as Africa and the Middle East are now less interested in older models. As a Europe-based operator, Elit’Avia’s first choice would be an EASA-based or certified aircraft, in order to avoid the major hurdles to registering an aircraft in Europe. “We are currently processing an AOC in San Marino,” she adds. San Marino is in Europe but not part of EASA. It works with ICAO legislation and accepts aircraft of any certification type for commercial operation, and this is valuable for transactions involving aircraft from Africa or the Middle East. For example, an ‘N’ registered aircraft that went to Dubai and has undergone modification could present problems when bringing it into Europe because of STC validations and such like. “However, in theory, on the San Marino AOC, we could be operating that same aircraft within two to four weeks,” she points out. Too much information? Technology helps and hurts the process. When it comes to transactions, there is a lot of infor-mation available. But, information can be outdated or inaccurate. Buyers and brokers may make false assumptions, which complicates things. “You have to vet buyers and sellers rigorously, and qualifying inventory can also be a challenge,” Mahajan adds. The financial crisis and the subsequent political environment have affected the number and type of transactions that Elit’Avia is seeing. With financing companies becoming more conservative, and with very heavy vetting processes for aircraft financing, many buyers are no longer willing to submit to the process. Aircraft incorporating the latest technology tend to attract higher prices. Where aircraft have not been upgraded, buyers will have the upper hand. At the moment Luxaviation UK is in the process of buying a nine-year- old Challenger 604. Galanopoulos has seen Legacy 600s being traded at around the $5 million dollar mark, and the Legacy 650 trading near to the $10 million mark. “There are a lot of opportunities out there,” he says. Luxaviation prefers aircraft that have been on an EASA register as it is far easier to put them on the AOC, on the G register. The company has also taken aircraft from the US before, but with all regions, particularly the Far East or Africa, it only takes aircraft with a very clear maintenance history. “Aircraft from outside Europe do tend to sell for a bit less,” Galanopoulos notes. Visits and pre-purchase inspections of the aircraft for sale still have their place, even with the online nature of everything nowadays. “Sometimes buyers will come to me at 23:00 and tell me they been browsing the internet and found a Gulfstream II for $1 million. Why shouldn’t they buy it?” says Galanopoulos. It is easier to find aircraft now by surfing on the internet. It seems the biggest problems can occur during negotiations for the purchase agreement. All parties have different objectives and no-one wants to take any risk; so each side will approach the transaction in a completely different way. It becomes a case of finding some common ground that suits both parties. “There has to be an element of risk, because there is no such thing as a risk-free transaction,” Galanopoulos adds. “But one thing is deciding when the pre-purchase inspection should take place.” In the old days, when it was more of a seller’s market, the pre-purchase inspection would be done before the buyer committed any non-refundable deposit. It was done on the basis of a letter of intent, and once the aircraft had been inspected the purchase agreement could be signed. “Now, however, the market has changed,” he says. A letter of intent is signed, then within reasonable time the aircraft is reviewed, a test flight performed, and the lawyers are left to do the purchase agreement. Once all that has happened, the exact terms for managing the pre-purchase inspection and so on are drawn up, and only then does the inspection happen. “Otherwise, as a seller, you are running the risk of putting the aircraft into a maintenance facility where you open up the engines and invariably find a problem. Then if the buyer suddenly wants to withdraw, they walk away with no financial penalty and you are left with a bill that could run into hundreds of thousands of dollars. And no buyer.” It is for this reason that Luxaviation, whether as buyer or seller, now insists that everything is detailed and in place before the aircraft goes in for its pre-purchase inspection. This way there can be no arguments afterwards. Also forming part of the purchase process are financial matters such as depreciation and insurance, and more basic concerns like inspection and valuation. “Arguably one of the most complex considerations is the matter of tax,” says Steve Cain, director – VAT at Isle of Man-based asset guardian Equiom Solutions. Value added tax (VAT) on goods and services can add significant costs to the overall purchase price. Equiom is one of a number of importers that have achieved Authorised Economic Operator status, granted to those who demonstrate high standards in, and are actively involved in, customs operations. It enables a company to import without any requirement for bank guarantees or for the VAT to be physically paid. And since guarantees can be upwards of 18 per cent of an asset’s value, that is a saving that could run into millions of dollars. In summary, the supply of goods and services to aircraft and the acquisition (purchase, lease, etc) of aircraft are exempt of VAT provided the aircraft is used by airlines operating for reward and chiefly on international routes. Steve Hartley, executive director of Dubai, UAE-headquartered Empire Aviation Group (EAG) sees signs that the market is on the turn. Whenever there are elections and major events in the US the market comes to a grinding halt, but EAG is experiencing a tremendous amount of activity there at the moment, so things are looking up. EAG’s Dubai office is seeing more customers through its doors. They are not necessarily UAE-based customers, but they are regional customers. “One of the issues we have,” he adds, “is prospective buyers sitting on the fence and waiting to buy.” If prices have reached rock bottom then that practice must end, and Hartley doesn’t envisage more price drops in the immediate future. And if the US economy is turning, which he feels it is, prices will either stabilise or increase, which will be good for the industry. “The online world has made things more difficult,” he continues. “People believe that they can go on to the internet, do a search for used aircraft, and then they become an instant expert in terms of what’s available or where they should be priced.” This false confidence and expertise is very far from the reality, where a 2000 model aircraft could sell for more than a 2002 model because it has lower flying hours for example, or it may be on corporate care. There are so many variables. “But of course, people don’t look at that. They just see this lovely aircraft advertised on the internet for x amount of dollars.” It has made things a little tougher to overcome. Buying and selling today comes down very much to relationships, and the level of comfort that people have with the organisation they’re dealing with. EAG works with its clients to make sure their interests are protected when buying, and more importantly that they have some recourse against any factor that may fail them at some point during the process. Hartley credits EAG’s success to this; the company has credibility within the region and its “pipeline has been pretty good”. In the last year EAG has sold some big aircraft to local buyers, including two G650s. While 2016 remained a very challenging year across the business jet pre-owned market sectors, the people at Innotech-Execaire Aviation’s UK office saw some bright spots and successes in Canada and into the US. “One particular highlight,” recalls regional director Andrew Pearce, “was selling an early serial number Challenger 300 at only $500,000 below the asking price, which was set at ‘fair market value’. In today’s market that is quite a feat.” The process was facilitated by ensuring the aircraft was in excellent technical order with clean documentation, a clean and refreshed interior, and with the latest in cabin connectivity. All of which was a major help in placing the aircraft ahead of similar aged aircraft on the market. Innotech Aviation also supported a number of pre-purchase inspections of those Global and Challenger series aircraft selling into North America, which remains the most active market according to Pearce. The UK and Germany also showed signs of improving interest: “We anticipate 2017 to continue to be a tough environment for pre-owned aircraft, but remain optimistic that there will be a steady improvement driven by increasing interest and demand,” he concludes. Ten years ago corporations had their own fleets, a few smaller owners had a few aircraft, factories had outstanding orders and there was a backlog on deliveries. More and more models were created, factories were springing up, and people who used to charter were starting to buy. Then the industry suffered a multi-pronged attack as the world started to change. Business aviation’s image was threatened and executives feared that aircraft ownership would not look good on the balance sheet in times of economic downturn. Fleets were disassembled and aircraft sold. Some had bought aircraft without proper appreciation of how, for example, maintenance costs make inroads into profit; the business model was not working. Nowadays the airways have opened up. Flying is so accessible and easy it can sometimes be more difficult to go by private jet. At Geneva the competition from low cost airlines means slots can be harder to come by for the private jet companies. New regulations have come in so that, whereas in the past an aircraft could have a couple of clocks and dials, today customers want ADS-B in/out airspace surveillance technology; CPLD (complex programmable logic devices); wi-fi; and range. And they will more often than not want to buy an aircraft with an engine programme. The game has changed and so people moved away from aircraft ownership and many of the aircraft that were produced are now for sale, competing with stock from the OEMs. Whenever a new model is introduced, the older one is phased out and quickly loses value. And so, on the whole, buyers are negotiating themselves much better deals. EAG’s Steve Hartley is seeing more and more customers coming into the market in the Middle East region.